The Laing E-10 Circulation Pump replaces the previous red bodied versions. The new E10 uses 40% less energy and runs 40% cooler than previous models. It also includes a smart "chip" in the motor that gradually increases rpm at power up to minimizes impeller cavitation and ensures "air lock" free startups. 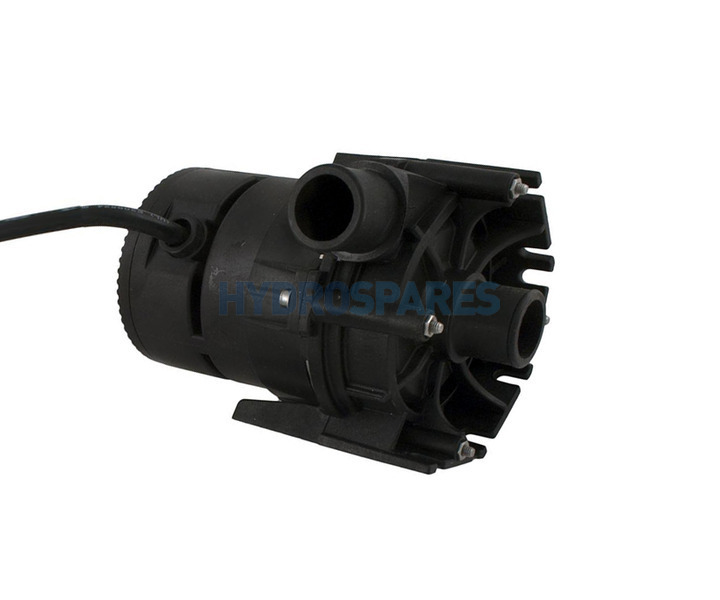 Laing pumps are commonly found on Sundance and Jacuzzi spas. Spherical rotor design uses NO shaft seals meaning no deals to leak!